Rapper Nasir bin Olu Dara Jones, popularly known as Nas, quite poignantly voiced in N.Y. State Of Mind from his debut album Illmatic (1994): “I never sleep, cause sleep is the cousin of death”. While Nas’s themes of gang violence and other modern social ills plague many big cities, there is an element of this logic running through the lives of many coming to terms with our metropolitan mores. In our constant struggle to find more time — for work, for play, for family, for fun… — sleep seems to have taken a back seat. It is often regarded with annoyance, sometimes even mild contempt, that our bodies require regular rest to function optimally. But science would beg to differ, insisting sleep isn’t an irksome chore, but an essential function for ensuring health and longevity. “In the modern day, with so much to do, sleep is seen almost as a nuisance,” says Dr Han Hong Juan, Ear, Nose, and Throat (ENT) Specialist at Singapore General Hospital’s Sleep Disorders Unit. “People have stopped looking at sleep as something to reward the body, but as a distraction from their everyday tasks,” he points out. Unsurprisingly, he adds that such an attitude will lead to poor sleep habits which, if not corrected, will end in severe health issues later in life. While doctors and scientists unanimously agree that sleep is absolutely essential to life, researchers continue to be stumped by exactly what it is and what it does to the human body and mind. 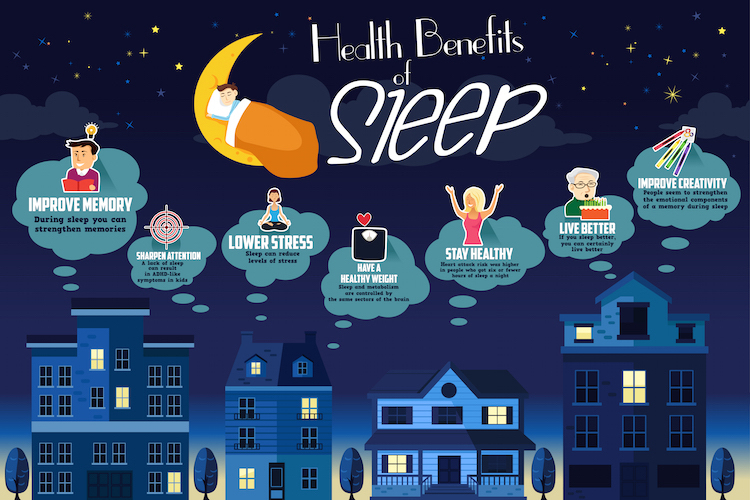 “Physiologically, sleep is a period of rest and restoration for the body. For the essential components of the body’s function to be replenished so that we can prepare for the new day,” Dr Han explains. As such doctors are still only able to describe with certainty what sleep is. During the early stages of sleep, body temperature decreases, muscle tone is diminished and brain waves begin to slow down. This leads to a deeper REM (Rapid Eye Movement) sleep; where muscle activity is further reduced but there is a marked increase in brain activity. While dreaming is commonly attributed to the REM stage of the sleep cycle, Dr Han explains that the brain also conducts restorative functions during this time. It is believed that memory is consolidated, neural pathways are forged, and synapses are stabilised, accounting for the increased brain activity, all while the body is kept in the greatest state of relaxation.